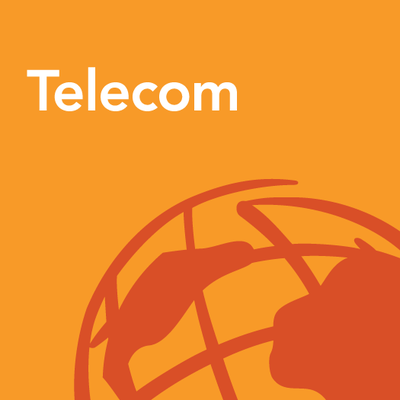 Meeting customers’ growing expectations for new telecommunications services is challenging and crucial in a highly competitive market. Upgrading networks with the latest technology is only part of the solution. Delivering a superior customer experience also requires real-time dynamic visibility and insight into your network and business operations. For this, you need Operational Intelligence enabled by Web GIS and ArcGIS Enterprise 10.5. The true power of a Web GIS is the ability to expose geographic data management, map visualizations, and powerful spatial analysis tools to anyone in your organization through Web Services. These Web Services when paired with apps create windows into your data, maps, and analysis results. ArcGIS Enterprise is a complete Web GIS platform with new distributed GIS capabilities that allow for real-time data ingestion, big data storage, and spatial analysis, both in real-time and near real-time on big data. These new capabilities allow for telecom organizations to have better operational intelligence by monitoring, in real-time, customer touch points with their services, enabling them to analyze the big data spatially, quickly prioritize and respond to customer demands, automatically report to executive teams, and be proactive. Resolving a network issue before its customer experience affecting, and better understanding how your customers interact with your services will ultimately improve customer experience. So how do you provide to your organization better operational intelligence through Web GIS and ArcGIS Enterprise? First. Setup up your enterprise Web GIS with ArcGIS Enterprise 10.5. Web Services are the foundation of operational intelligence. Installing and configuring ArcGIS Enterprise 10.5 will give your organization the foundation and framework to start publishing these web services, whether they be data management services, map services, or geoprocessing and analysis services. Second. Create a destination, create groups, and provision users. Portal for ArcGIS is the content and identity management system of ArcGIS Enterprise. This portal manages your web services, web maps, web apps, and gives users access to them. Setup your portal with your organizations branding, group structure, and then add users to their appropriate groups so they know where to find your organization’s maps and geographic content. Third. Create and share foundational information products. A content rich portal is a happy portal. The more maps and geographic content shared within your portal, the more likely users in your portal will return looking for more, and contribute new content themselves. But to start, focus on the geographic data you have within your organization, and create the foundational maps and apps that would initially provide the most value. An OSP facility map, service territory map, and customer location map are few foundational data layers and web maps that serve multiple purposes, and provide value to a lot of members of your organization. Also, start to think about what real-time and field collected data you would like to ingest. Then, create your data schemas and databases and publish those web services and web maps. Start taking advantage of the Web GIS pattern for field mobility and the suite of field apps ArcGIS offers. 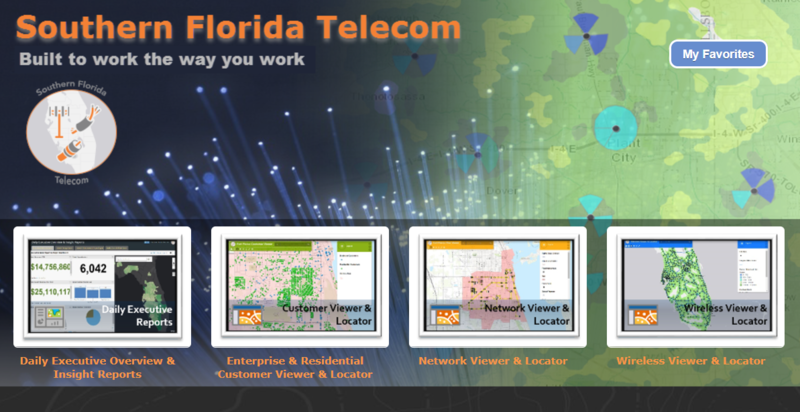 Once you start ingesting and analyzing call detail records, network information, and other customer experience feeds, you’ll need to send crews into the field for upgrades, repairs, and new builds, so enable them with mobile apps to quickly see asset information on live web maps and easily collect field data on their tablet or smartphone. You can also take advantage of field mobility without requiring additional real-time and big data engines. Fifth. Tap into real-time data feeds, store big data, and analyze the heck out of it. Once you have ArcGIS Enterprise and your portal configured, you can deploy and take advantage of GeoEvent Server for ingesting real-time feeds. Set-up and store that data in the ArcGIS Spatiotemporal Big Data Store and then deploy GeoAnalytics Server and start analyzing that big data. The GeoAnalytics Server tools can be accessed and run through ArcGIS Pro, your portals web map viewer, and now through Insights for ArcGIS. Insights for ArcGIS is another application to enable geographic data interrogation. If you are still in the data exploratory phase, then Insights for ArcGIS is a great tool to examine your big data to derive patterns and trends. Sixth. Share the results, start to improve customer experience, become the hero. Everyone loves maps because they tell a story and gives you a unique perspective on data. Providing real-time maps and analytics into the hands of decision makers empowers them to address issues quickly, minimizing their impact before they negatively affect customer experience. The Web GIS pattern and ArcGIS Enterprise allows you to quickly share information through configurable web apps. Operations Dashboard for ArcGIS is just one of many ready to use apps that will act as a window into your real-time data and analysis results. The technology to empower everyone in your organization with maps, apps, and spatial analysis to improve operational intelligence is here. Service providers have seen great return on investment and improved customer experience when ArcGIS and the Web GIS pattern are deployed to its fullest potential. 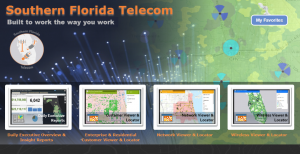 I encourage you to start looking at how maps and spatial analysis could be better utilized within your telecommunications organization today, and check out this Story Map for more information on Operational Intelligence in telecommunications.